I LOVE Shel Silverstein's poetry. During a poetry unit in high school we had to make a collection of poetry based on a theme. I chose humor so I could use as many of Silversein's poems as was allowed. I also discovered Odgen Nash, while his poems are hilarious I wouldn't want to read them aloud (he's a fan of made up words). Since today's theme is Giving, I was reminded of one of Silverstein's more serious poems - The Giving Tree. It is quite the touching story; one that everyone should read (and re-read). Last year a video that is thought to possibly be the original animated film of The Giving Tree made it's way through the internet. So if you missed out on this story, now is your chance to hear it. 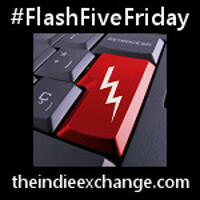 Visit The Indie Exchange for links to other great posts. Lovely post. I also love Ogden Nash, especially his willingness to just make up words when needed! Perfect! I adore Shel, and this is my favorite book. Ever.